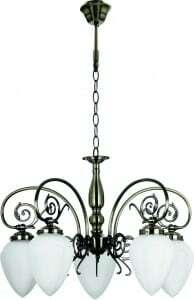 Thank you for submitting your question about A triple copper pendant lamp Gino copper E27 60W. Ceiling lighting that will ensure the right harmony of light in your home. Modern lamps , excellent in the minimalism of their design, are very practical and effective at the same time. 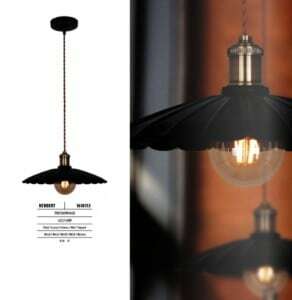 Triple Copper Hanging Lamp Gino Copper flashes splendidly in a youth room, living room, dining room or office. The described luminaire allows the installation of 3 light sources with E27 socket and a maximum power of 60 W, which allows for sufficient lighting of even larger rooms. Lamp height: 1200 mm. The product is made of glass and metal.